Welcome to The new home for the SGmod! 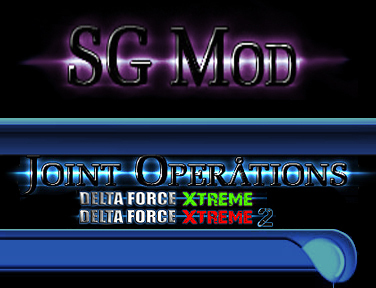 SG-Mod is available for Joint operations , Deltaforce Xtreme & Deltaforce Xtreme 2! SG-mod is a Modification of the basic novalogic games (named above) ; Starting its life as a small stargate themed weapons mod , it then evolved into a full blown "SG" mod containing themed buildings,terrains,sounds,AI,Vehicles and more. 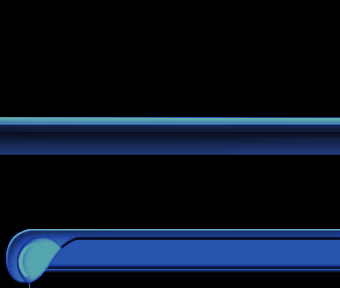 Ever ongoing the mod developed way beyond the original plan and vision, Evolving yet further, expanding its library of mapping objects to the bursting point. Give it a try: DOWNLOAD YOURS TODAY!! "Mappers can do things in this mod that they simply can't do in ANY other mod for Joint Operations. I like it's versality - you can make great sci-fi maps but also you can make awesome urban combat maps, it's not all about 'sci-fi crap' as some people seem to think"
Awesome job on the mod guys! The a.i., the vehicles, the stargates etc., etc. have just blown me away. Been enjoying it since the very day it was released,...Damn good job guys, I'm amazed. Hi. I have been playing Joint Ops for about a month or two now, and just found this mod about a week ago. I have always loved Stargate, and to find a Stargate mod for one of the coolest games out there was so exciting!! I have played a couple times and this is one of the coolest things out there for this game. Great work guys!! From a Map-Makers point of view, the SG-MOD beats out all the other Mod's, hands down. It quite simply provides the Map-Maker with an innovative pallet of objects not available anywhere else, allowing Him or Her to build things into the map that could not easily be done with the other Mod's. Hat's off to Luke Nadewalker for doing an outstanding job and listening to the needs of the Map-Makers during the design of this Mod. SG-Mod has been approved by NOVALOGIC for play on novaworld!